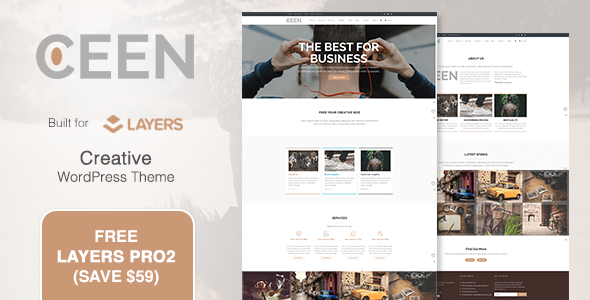 Ceen is Layers child theme designed for Creative, Agency and Business websites. This theme also suitable for woocommerce and portfolio websites. , built to harness the customization power of Layers. It offers modern visual appeal and simplicity, with the addition of Layers building widgets for even more layout control. Ceen is a child theme for the free Layers framework You can find Layers at http://layerswp.com and learn more about using it at http://docs.layerswp.com. 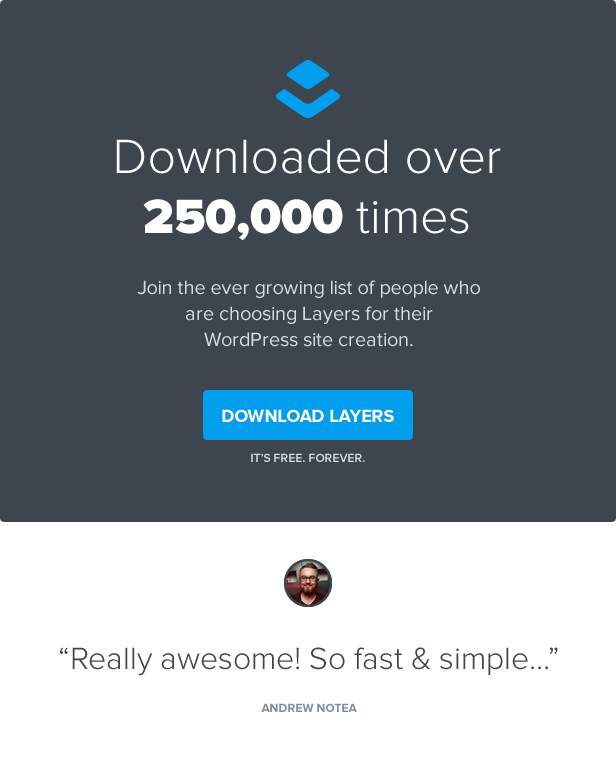 and Layers uses Presets to load â€œdemo contentâ€ which are found under Layers > Add New Page. through an interface that is so simple you?ll be a pro the first time you use it. Built into WordPress. Not on top. 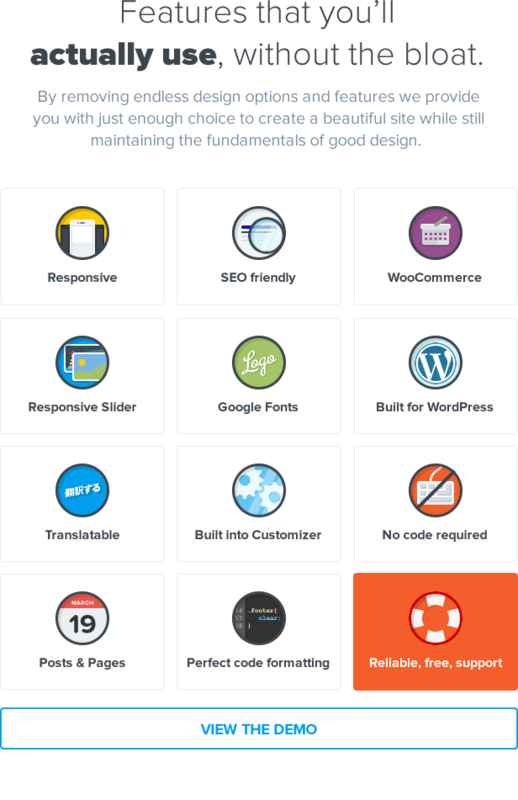 Layers is activated as a WordPress theme and works directly with the built-in WordPress Customizer. A code-free interface gives you control over the content and aesthetics of your site while still maintaining good design fundamentals. Download Layers and create anything you want, from gorgeous themes to powerful extensions, or contribute to the core on GitHub. With Layers you don?t need a degree in HTML and CSS to get the design you desire. With preset layouts and the easy to use Design Bar, you never have to worry about what goes on under the hood again.